Smartphones have become a necessity and majority of us carry them with us wherever we go. But do we realize that our mobile is acting as a tracking device which is keeping a tab on every move with its GPS tracking abilities. The topic we are about to discuss here, is a debatable one due to the menaces and benefits that come along with a smartphone. Have you ever paid attention to the app permissions you agree to while installing an app? If your answer’s no then you should. As most mobile applications take approval to access your GPS location. If you don’t grant the app won’t install unless confirmation is given by you. But one question arises here, why does a gaming app, online shopping app, need to know the location? Is GPS feature good or bad? GPS trackers have become an irreplaceable part of our lives. A handy tool that helps in discovering new places and friends in need. If you get lost you can use it to get directions. Mostly all the devices from phone to vehicles to smart watches all have a GPS tracker. They hold a significant place in our lives, to a such an extent that we’re even willing to put our privacy at stake. But don’t you think it is a big issue, that you are choosing to turn a blind eye. It is rightly said a coin has two sides. It depends on the person which side he wants to see. GPS tracking is a remarkable tool for Law enforcement and the government. But for bad guys GPS trackers are their biggest enemy. But why? As is obvious, the police have started to use cell phones & vehicles with GPS trackers to track suspects. Undoubtedly, this is illegal but there is no harm in it, because criminals can’t go far with this. But does this mean if we have a phone or a vehicle with GPS system we are agreeing to use a government-owned tracking system? If you look at the app settings, you will be shocked to see that major apps have access to your location. Although most of them mention that location data is used only when the app is active, but some of them always track your location without your knowledge. Few months ago, in an article published it was clearly described how Uber app tracked iOS users’ locations even after the app was deleted. Even more it has been recently discovered that Facebook’s “Onavo Protect” tracks user even when it is disabled and shares data with Facebook. You may not ever come to know if an application is using your data to give better results or is selling it to third parties. Recently, a gaming app was found uploading GPS data to a remote server, where data can be sold to hackers. That is, anyone who has access to that data will be able to monitor victim’s location without their knowledge. Mobile threats are on rise, therefore if you want to stay safe you need to be careful of what you are installing and what permission you are granting. If an application that has nothing to do with location is asking for such permission then you need to think twice. A simple yes to location permission may be dangerous. Many cases of GPS data falling into the wrong hands have been noticed. Therefore, we need to watchful. Nowadays cyber criminals are becoming advanced. You may never know when and where they can use your location data to prepare an advanced phishing attack. 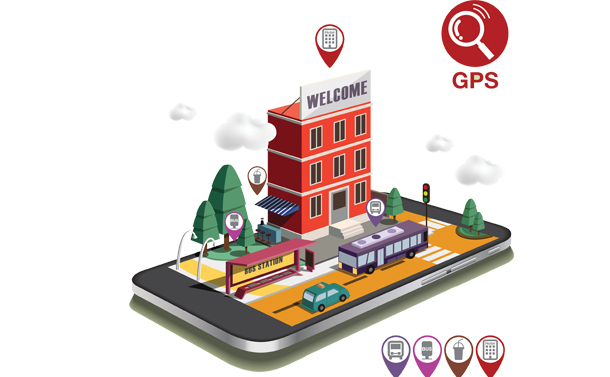 GPS data not only tells one about your location, it also discloses where you shop, which restaurants you visit and where you go to enjoy etc. Imagine if anyone has access to this sort of information how he can use or misuse it. They can misuse it create personal emails to make a fool proof spear-phishing attack. Think! The first thing most of us especially the younger generation do after checking into a hotel, going for a vacation/outing or even when visiting a friend’s place is to post a photo on their social media account. There is no harm in doing so, but do you know nowadays when you click a photo your location is also disclosed. This is where the problem lies. Geo-tagged photos provide clues to where you are, and what you are doing. Meaning anyone who can see your photo will know everything about you. A burglar can use this information to know when you are out and at home. Usage of GPS tracker is a highly controversial topic. If in wrong hands, it will cause more harm than good. You can surely turn off geolocation but most of the times we forget about security and are busy posting our photos to show world how happy we are and enjoying life. This is that point where Geotagging proves dangerous. You may never know when someone uses your data for their own benefit. Stalkers use it for harassment, applications use it to gather user data, governments use it to track criminals. Apart from this, it is used in many other ways. The usage varies from person to person. You cannot judge it by just looking at one perspective. But a smart user is one who knows both pros and cons because only then will you be able to judge where technology is a boon and when it is a bane.